Lil Miquela has it’s own clothing line, parties in the hippest clubs and sits in the front at fashion shows. This influencer has almost one million followers on Instagram. Only: Lil Miquela is not real. 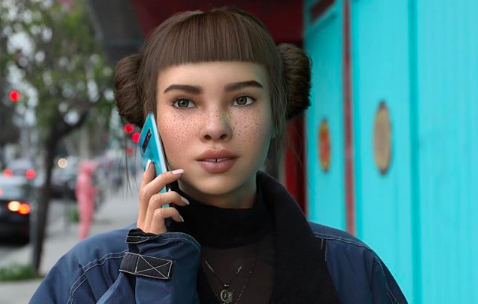 Miquela is on the border of the real world and social media, explains Jassies. Because of her mysterious inventors (according to some she is a creation of a graphic designer from Los Angeles, who denies it), she is photographed in real situations. She ‘just’ walks down the street and sits in normal cafes. She has her own clothing line and also a singer. Her debut single Not Mine reached the Spotify Viral top ten. Miquela also seems to be concerned about the world. In addition to Instagram, she is active on Facebook, Twitter and Tumblr, where she ‘supports’ Black Lives Matter and refugee organizations. She mainly does that by liking those pages, but she is not really an ambassador. Here’s Chris pretending he’s not weirded out @ me asking whether Billy Ray would ever make a beephaw remix to “Right Back.” It drops 4/10! 💟🔙 Pre-save link in biiioooo.